Iverson, Patricia "Patty" Age 65 of Eden Prairie, MN, passed away peacefully at her home, surrounded by family on September 10, 2017. Preceded in death by parents Clarence and Dorothy Tietze; brother Thomas Tietze. Survived by loving husband, Donald; children, Chelsa (Fletcher) Bigelow and Alec Iverson; grandchildren, Dorothy and Frederick Bigelow; nephews John, Sam and Hugh; other family and friends. Graduate of St. Louis Park High School. Graduate of U of MN with a Masters degree in Human Resources. She enjoyed traveling, spending time with family and friends, and making others happy. 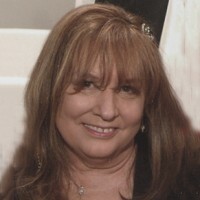 Patty was a loving and caring wife, mother, Noni, aunt and friend who will be deeply missed. Funeral service Wednesday 11:30 am with visitation 1 hour prior to service. Washburn-McReavy 7625 Mitchell Road, Eden Prairie, MN 55344 (952) 975-0400. Interment 2 pm at Fort Snelling.